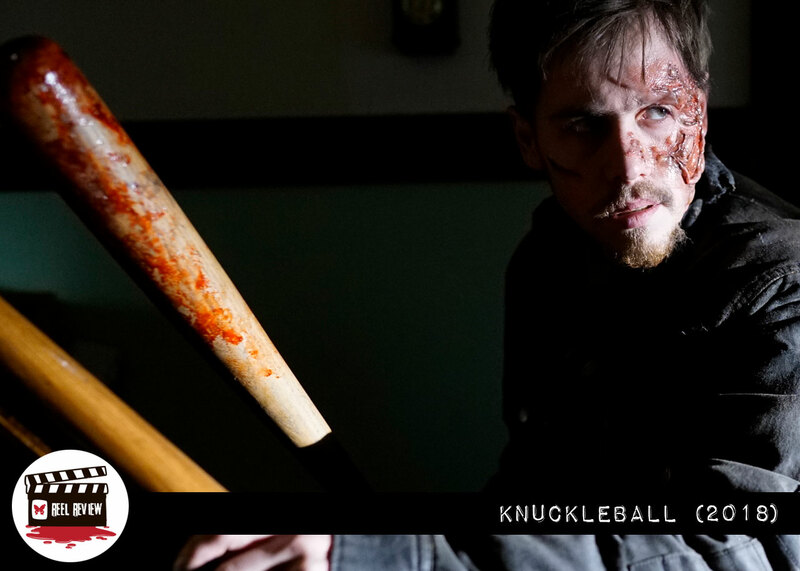 “Knuckleball” is a brutal story of cat and mouse; with great FX and a jaw-dropping ending, it makes “Home Alone” look like a G-Rated Disney film. Family secrets, a dangerous predator, and an approaching snowstorm entrench a young boy in a weekend of horror at Grampa’s house. Let me just start with this. Yes, Knuckleball will be compared to Home Alone and even The Shining (because of one moment in the film). 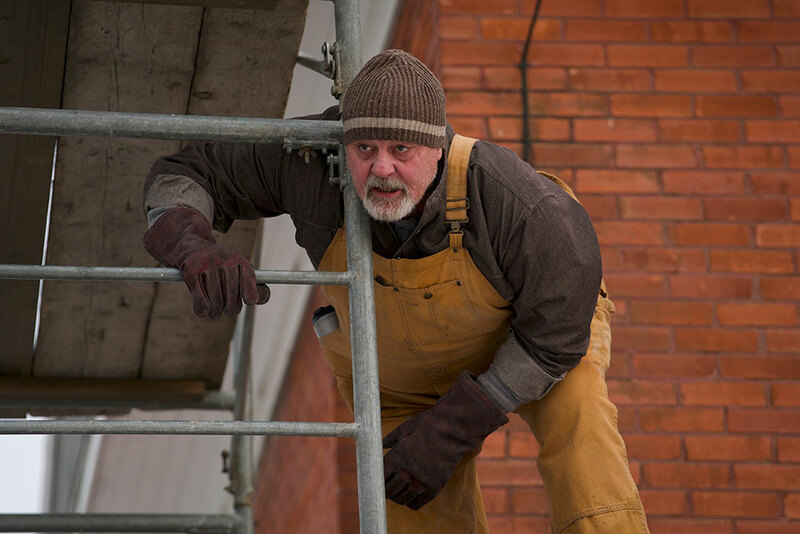 But this gritty, dark thriller brings its own terror — and the comparison stops cold. There is no humor in this terrifying tale. 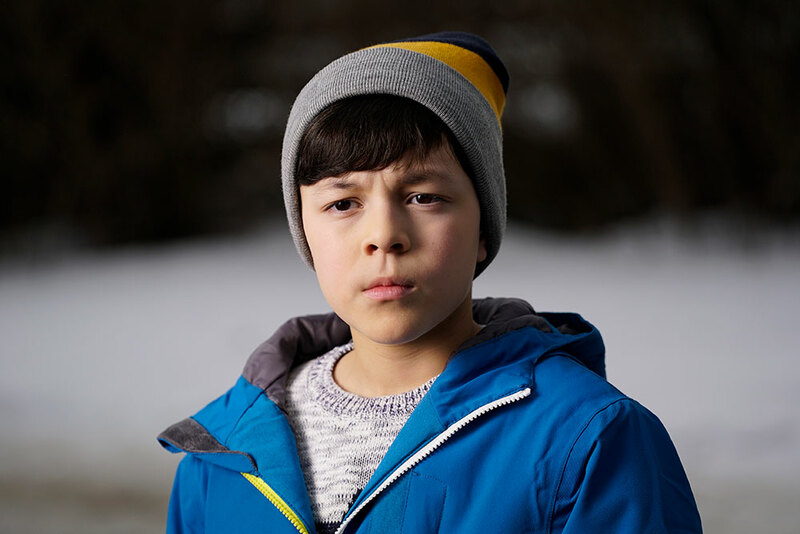 When Henry’s (Luca Villacis) parents take off on a weekend alone, they decide to drop him off at Grampa’s house. Pretty normal thing to do right? Taking your son to an isolated farm? To the home you ran away from after your mother committed suicide? Maybe it’s just me, but it doesn’t seem like the best of ideas. It’s winter in Canada. Snow-covered, icy, bleak landscapes are at every side during the opening scene car ride. Mary and Paul (Kathleen Munroe and Chenier Hundal) are taking their son to leave him at Mary’s father’s farm while they go to a funeral. At this point I feel like he would have been better off at the funeral, but hind sight is 20/20 right? The cinematography is beautifully haunting, and we feel the foreboding from the beginning. The place they are going to is isolated, run-down and desolate. The perfect place for a locked barn full of gruesome family secrets. Henry and his Grampa Jacob do ok together. Jacob (a very gruff Michael Ironside) makes Henry do chores, teaches him to throw a baseball (hence, the title, Knuckleball) and hugs him good night. The movie fools us at the beginning, it seems like just a family drama. Jacob seems like a nice old man. He couldn’t have any sinister secrets, could he? While Henry is doing chores, the creepy neighbor, Dixon, (Munro Chamber) stops by. It is obvious he is not mentally stable, and the hairs went up on the back of my neck when he smiled. It was pretty clear, this weirdo with the yellow teeth and intense eyes is gonna be trouble. From the next morning on, the film changes tone and picks up speed at a fantastic rate. Henry wakes up to an almost dead cell phone, no charger, also to find that Jacob has died in his bed. Yelling in my head, “Don’t go over to Dixon’s house” didn’t help, and Henry marches through the snow to ask the creepy neighbor for help. 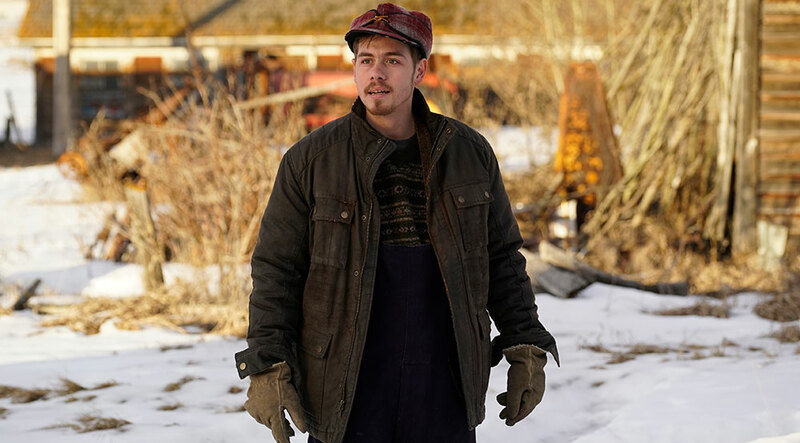 When Henry catches Dixon trying to drug his soda, he switches their drinks, and manages to buy some time to get back to his Grampa’s house. 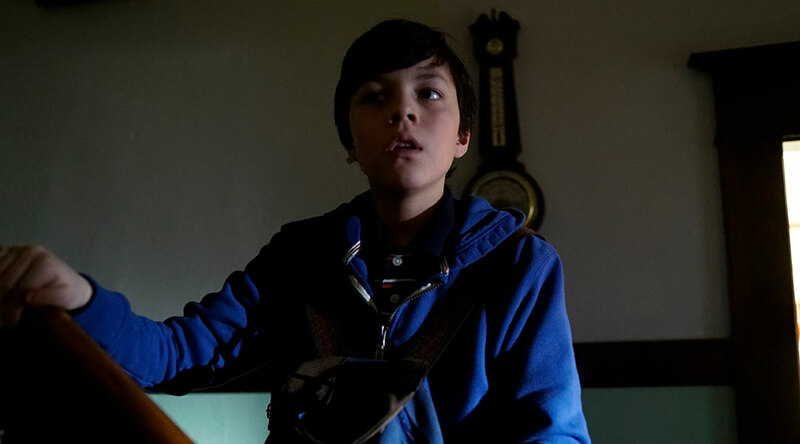 With Dixon in malicious pursuit, (he is a great bad guy) Henry sets up some booby traps (the reason it will be compared to Home Alone) to try to stop Dixon from killing him. Some incredibly gnarly practical SFX show the success of these snares. I was not expecting the melted flesh! Well done! The story is simple, bleak and left me hanging on the edge of my seat, rooting for Henry to survive. I would be wrong to give you too many details — I’m not about spoiling a film. As the cat and mouse game continues, and the body count increases, Henry finally resorts to breaking into the locked barn. What he finds there is a revelation and explains a lot! The ending truly blindsided me, and I was chilled to the bone. I love it when I don’t see what’s coming! Knuckleball is a very powerful story about secrets and how cruel human beings can be. I think this is a great film to start out your October! Freestyle Digital Media will release the horror film KNUCKLEBALL in theaters and On Demand / Digital HD on October 5, 2018. All photos courtesy of Freestyle Digital Media.